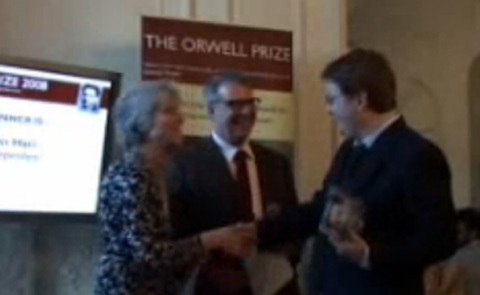 We are now hearing, as yet unconfirmed, that Johann Hari has returned his Orwell Prize. In the post. UPDATE: Delivered by courier. Twenty minutes ago we put this story to Gavin Freeguard of the Media Standards Trust. Asked if Hari had returned the prize he said no. Hari has admitted the whole thing. The fakery, being “David Rose”, the works. He is going to retrain, apologise and come back in 2012. Absolute cowardice from the Indy. UPDATE II: Hari is apparently going to Columbia to study journalism. Pah. UPDATE III: The Indy says: “The report on his conduct is a private one and will not be published”.